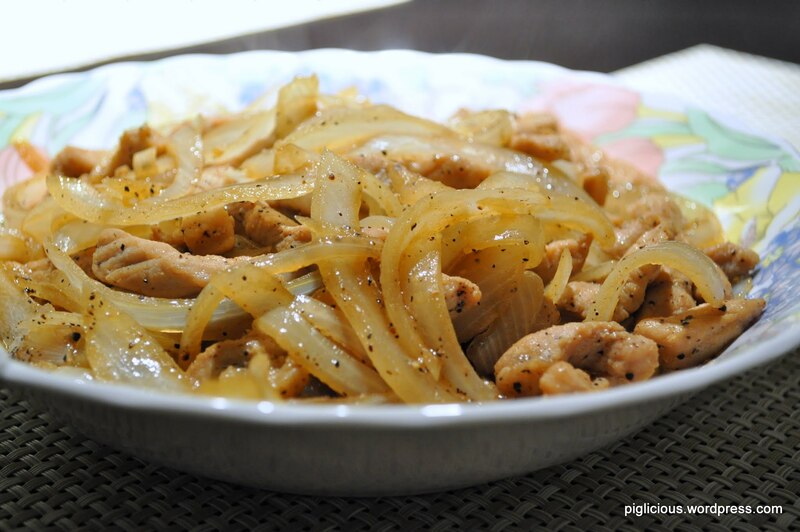 I had been making the same pork dishes, so it was overdue to try something new. 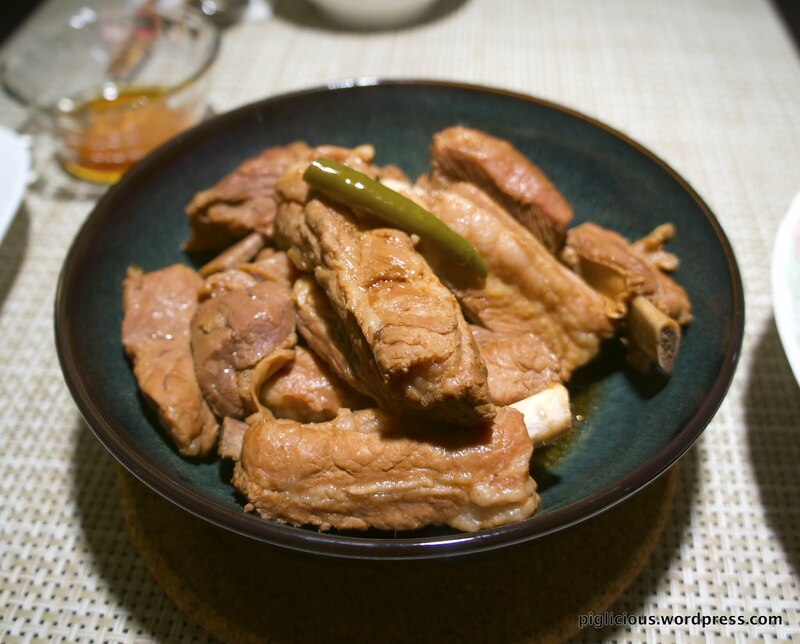 I love these pork ribs–They become fall off the bone tender when steamed! Not to mentioned that they’re pretty low maintenance to make, despite the longer preparation and cook time. But what’s nice is that you could focus on cooking other dishes for your meal while this is in the cooker. I used a Tatung rice cooker (6 cups) to steam these ribs. **When first purchased, these rice cookers come with an inner pot, but the cooker that I have is 20+ yrs old passed down from my mother, and the inner pot that came with it has been lost. 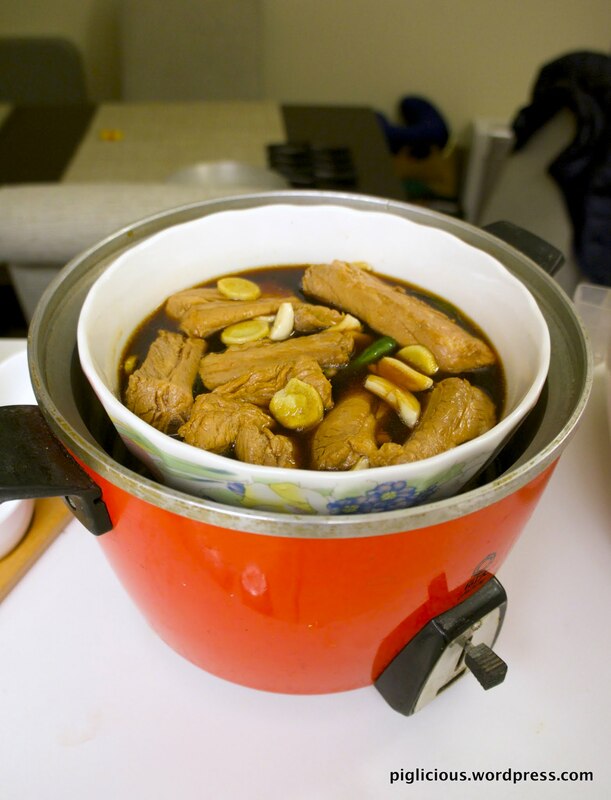 Instead of finding a bowl to fit into the rice cooker, you should use the inner pot instead to steam the ribs in. Boil the ribs for about 2 mins, or until you see some bone marrow start to float up to the surface. Remove from heat, rinse the pork ribs with cold water, and set them aside to cool. In the meantime, prepare the marinade. 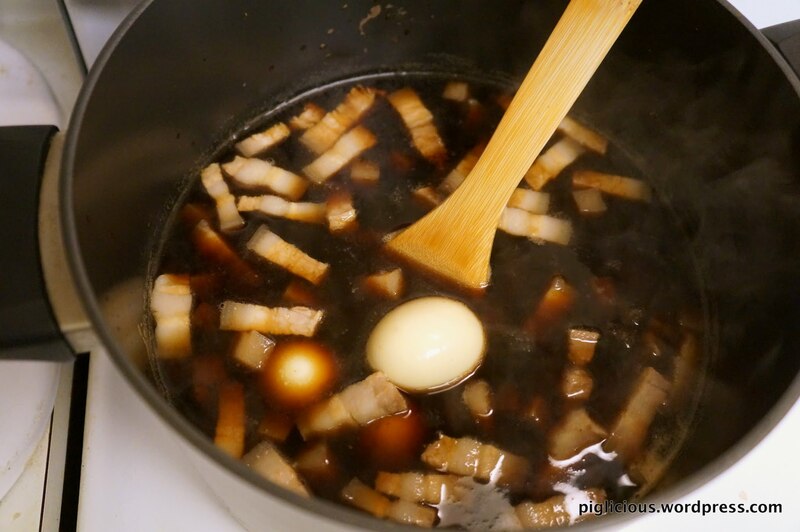 In a large bowl, mix the sugar, rice wine, black vinegar, soy sauce, and water. The sugar takes a while to dissolve to make sure to mix thoroughly. When the ribs have been soaking for 50 mins, prepare the aromatics. Peel and slice the ginger into semi-thin pieces. 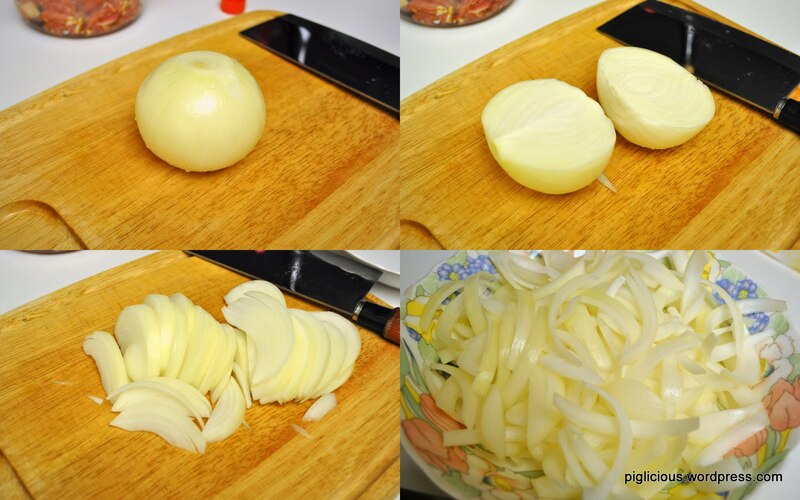 Peel and chop the garlic into halves. Remove the seeds from the Thai chilies. Temperature at medium high, add very little oil, and sauté the ginger, garlic, and Thai chilies. 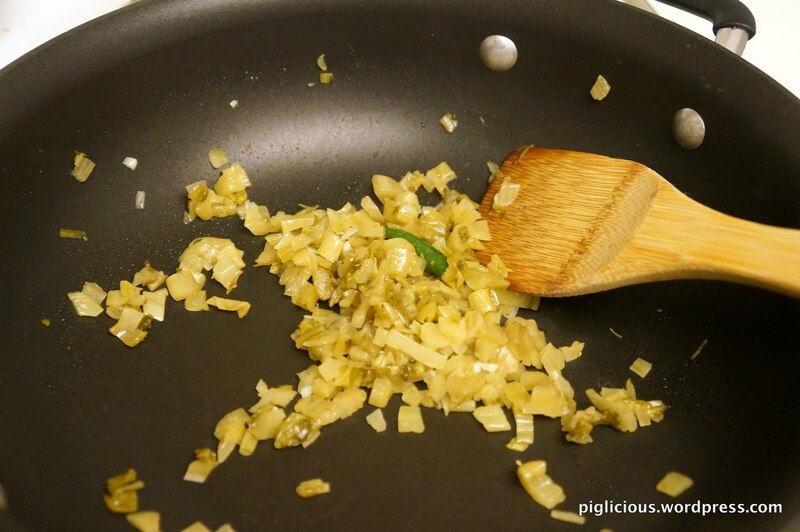 Sauté until garlic and ginger lightly browned. 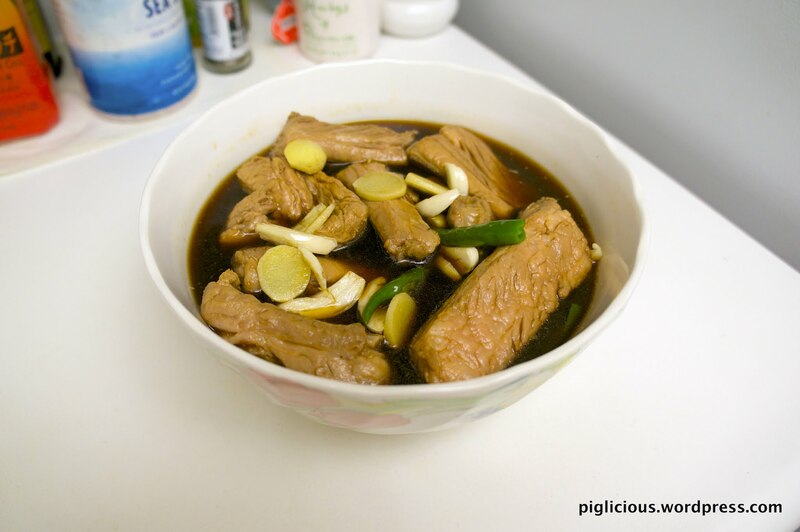 Place the ribs and marinade in a large bowl (large but small enough to fit into the rice cooker). Then add the aromatics into the bowl. Place the bowl into the rice cooker and add 1.5 cups of water on the outside of the bowl. When it is done steaming and the switch switches up (approx. 30 mins), open the lid and flip the ribs. Add another 1.5 cups of water on the outside of the bowl. Once the switch switches back up again (approx. 30 mins), your delicious ribs are done! I tend to like my food on the lighter side, so this recipe is just that. Feel free to add more soy sauce in the sauce for simmering if you like this dish a little saltier. 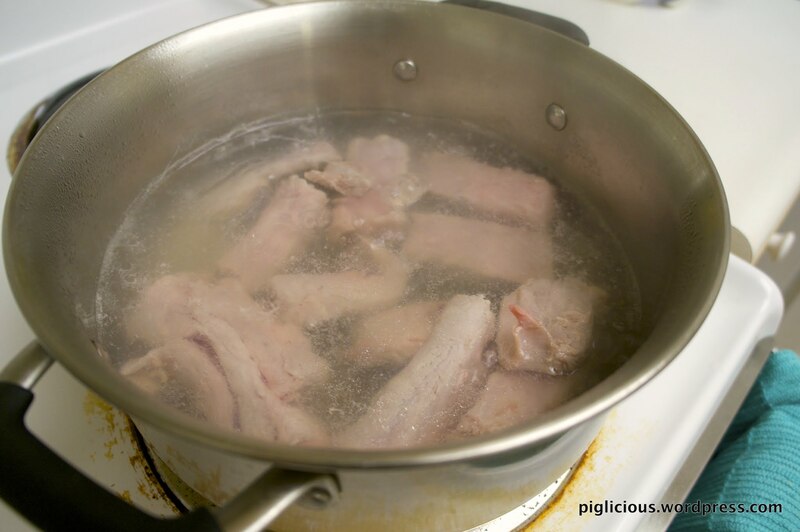 Some pork meats tend to have more of a porky smell or taste, so boiling it in the water bath will take some of that away and will also boil out some of the fat that will make the dish less oily. Start by filling the pot with water. Peel the garlic cloves. Peel and cut the ginger into small chunks. Cut the green onions. Place these ingredients and star anise in the water. Turn the temperature to high. 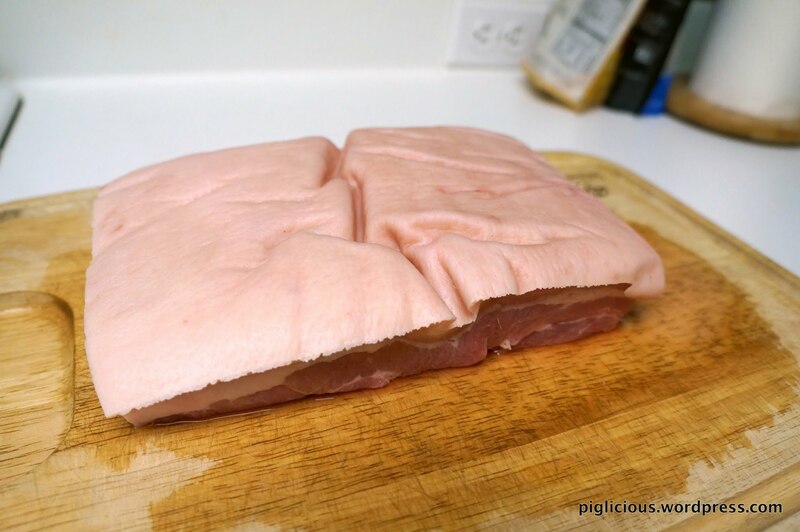 Take the pork out and let it cool for about 10 mins, and tweeze away any hairs on the skin. Put it in the refrigerator for 1 hour. (This will allow the meat to harder so that it’ll be easier to cut into small chunks.) If you haven’t done it already, make sure to cool the eggs as well before peeling them. 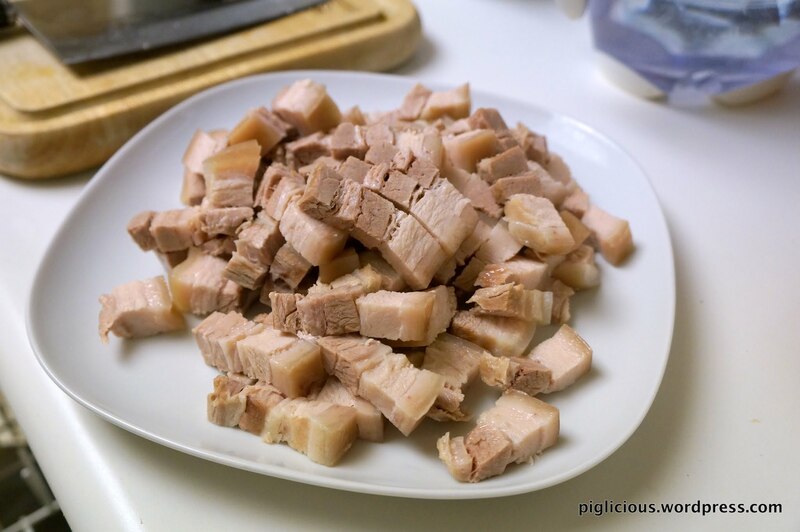 Take the pork out of the refrigerator and cut it into small chunks, about 1/2 inch wide, square pieces. 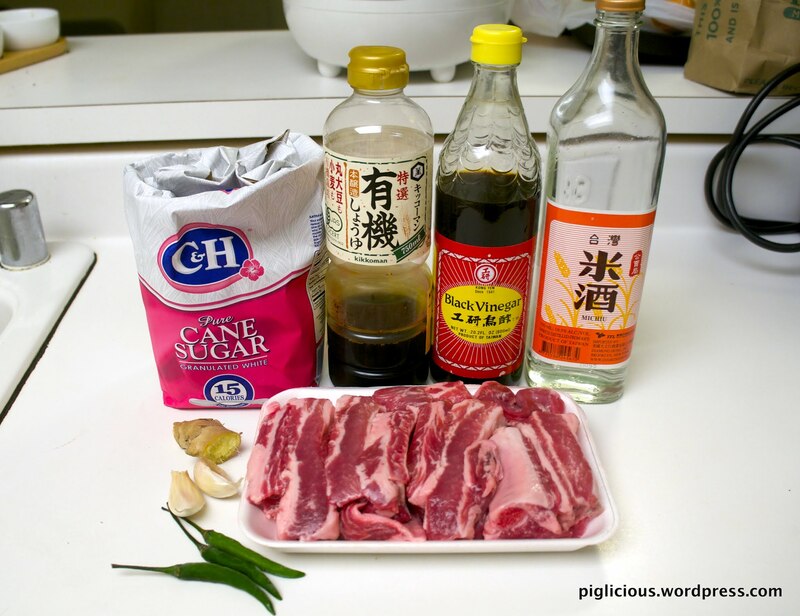 For the sauce, simply mix the soy sauces, sugar, water, rice wine, and five spice powder in the pot. Place the star anises in. Turn the temperature to high until boil. Place the pork belly chunks and eggs in. When it comes to a boil once again, turn the temperature down to low to simmer. Simmer for about 1 to 1.5 hours. For the toppings portion, wash and soak the preserved mustard green for about 15 mins, or until it is not as salty as when you took it out of the package. Cut it into very small pieces. Also, minced the garlic and remove the thai chili seeds. Use a pan and turn the temperature to medium-high. Place a little bit of oil in. Once the oil is warm, place the minced garlic and Thai chili in. 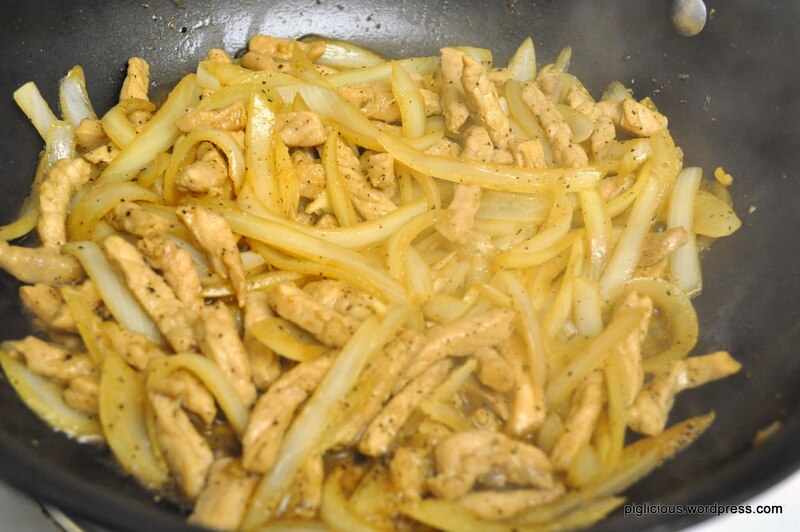 Let it sizzle a little to let the aromas hit its peak. Then add the preserved mustard green in. Stir for about 30 secs. Place this in a bowl and set aside. (you can throw away the Thai chili at this point). 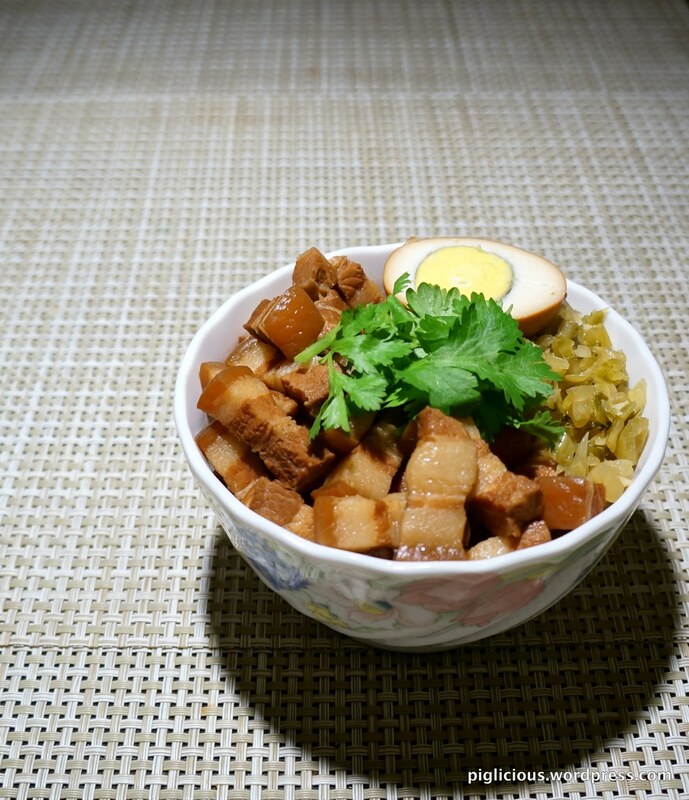 Once the pork belly is done simmering, you are ready to put together your rice bowl. 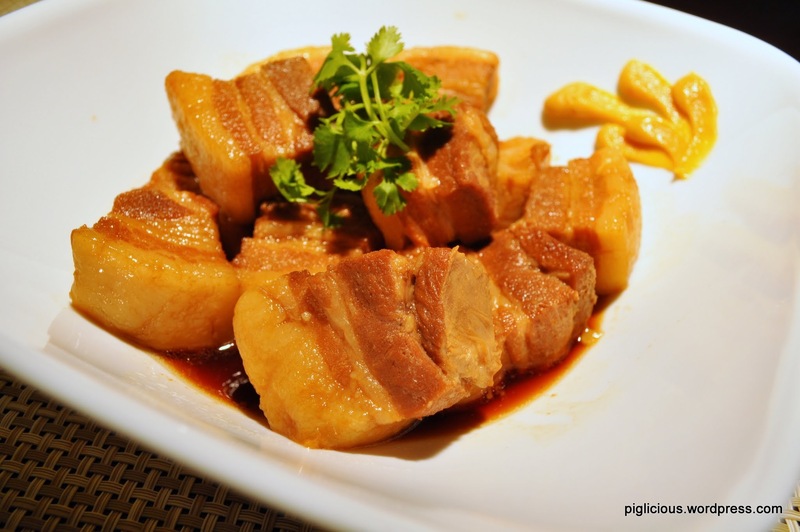 Place some pork belly with some sauce on top of your white rice. Then half of an egg, preserved mustard greens, and some cilantro on top to complete the bowl! I had first made this dish back in April this year and finally had the time to perfect it. The main thing I was working on was getting the right sauce quantity needed for steaming and also the right amount of soy sauce and sugar for the right taste. 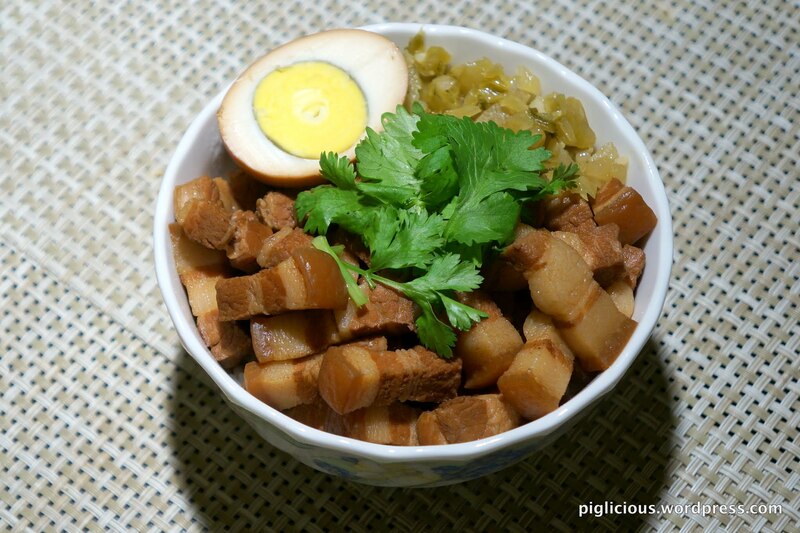 This dish brings back a lot of childhood memories, as it was one of my favorites as a child. 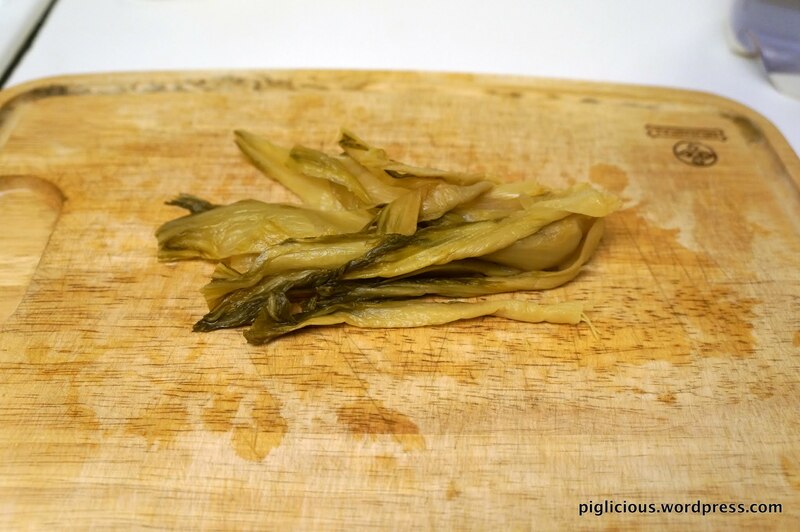 My grandma in Taiwan used to preserved the mustard greens herself and we would either get some from her every time we visit Taiwan or she would bring some to us in the states. My mother made it the best. Although I don’t think I’ve been able to replicate that exact same taste, but I think it is pretty darn close. 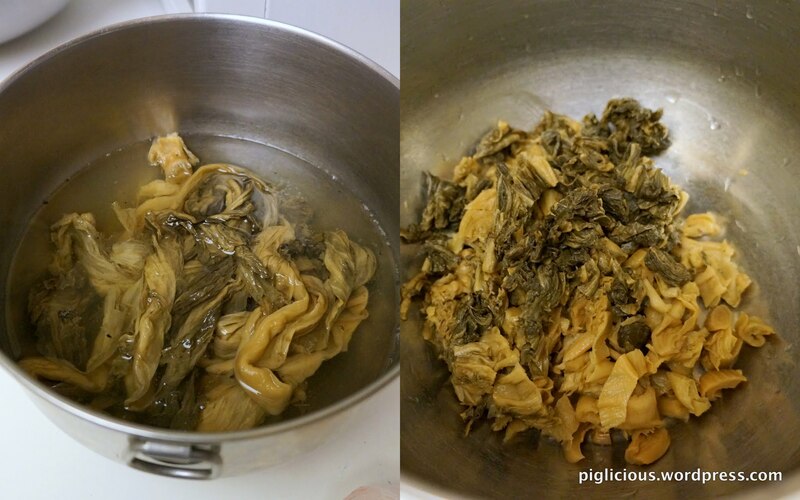 First, soak the preserved mustard greens in water for at least 2 hours. Then naturally, wash and cut into pieces. The 梅菜 I have here are from Taiwan, preserved by my relatives. If you buy the completely dried packages from an asian grocery store, they will need to be soaked for a much longer time–at least 5 hours, and they’re usually already cut into pieces. Now onto the pork belly. 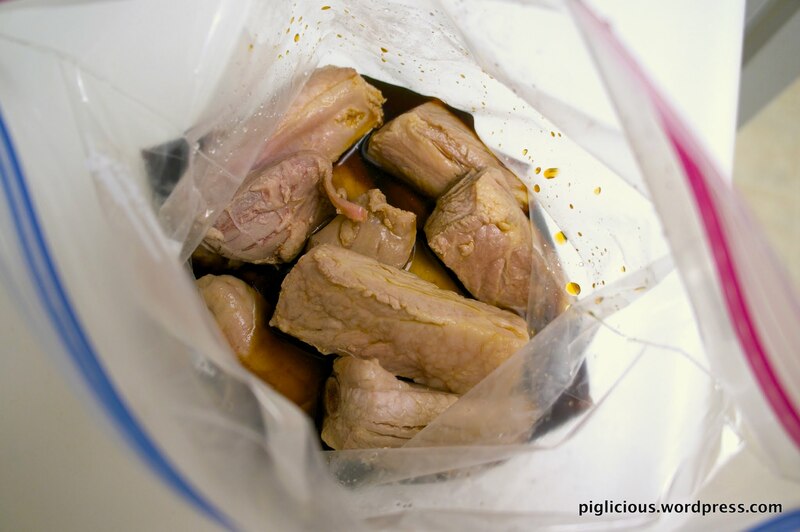 You will need to boil out the fat and give the meat some flavor in a water bath. Fill the pot with water. Peel the garlic cloves. Peel and cut the ginger into small chunks. Cut the green onions. Place these ingredients and star anise in the water. Turn the temperature to high. 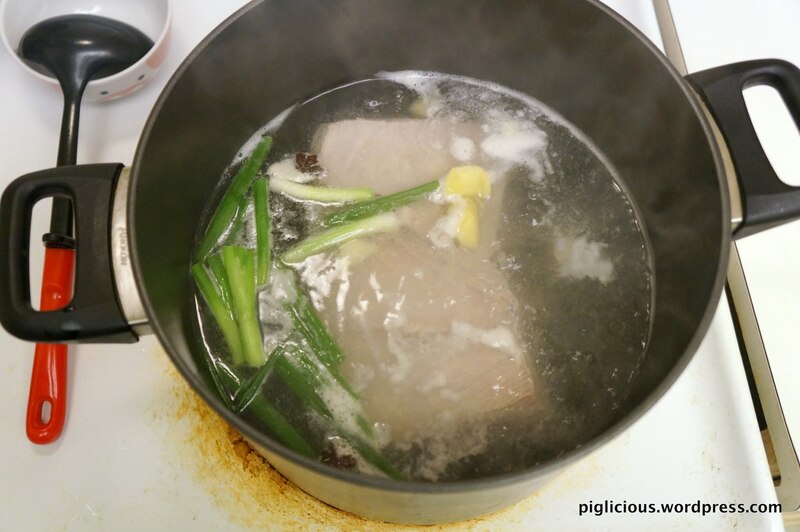 When it comes to a boil, place the pork belly in the water bath. Make sure the pork belly is covered completely by water. Cover lid. Turn temperature to low medium and simmer. 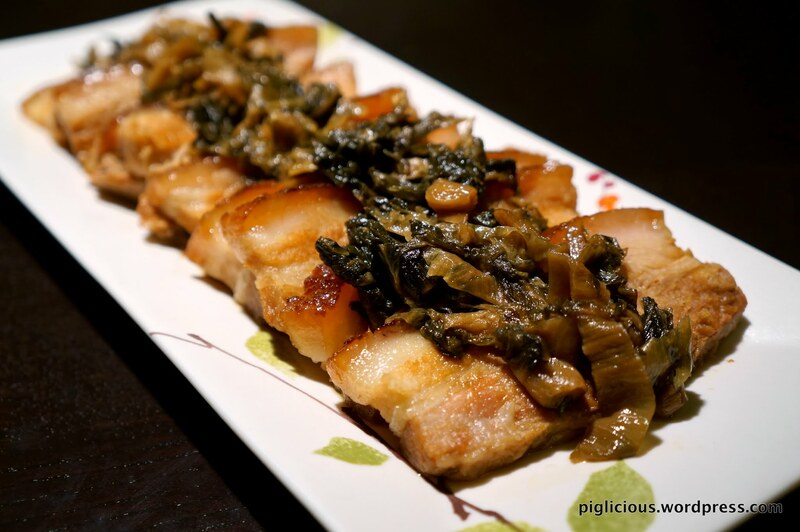 Flip the pork belly around after 30 mins and continue simmering for another 30 mins. So the total simmer time is 1 hour. 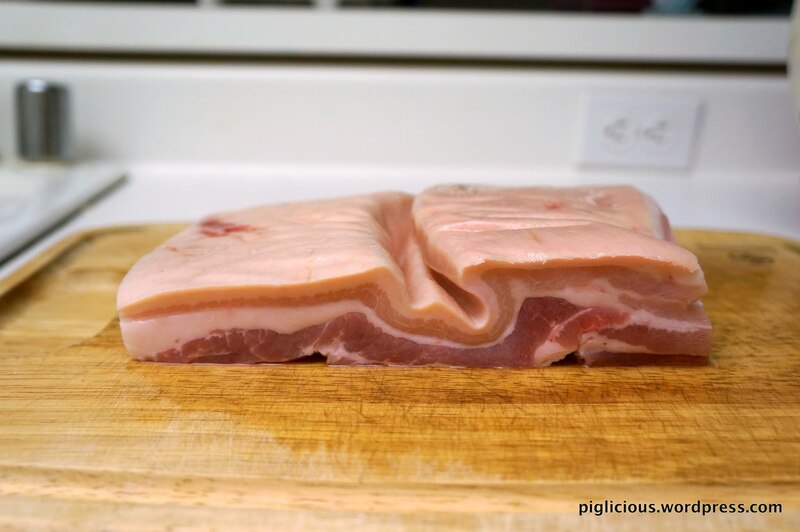 Take the pork belly out of the water bath and place it on the cutting board. 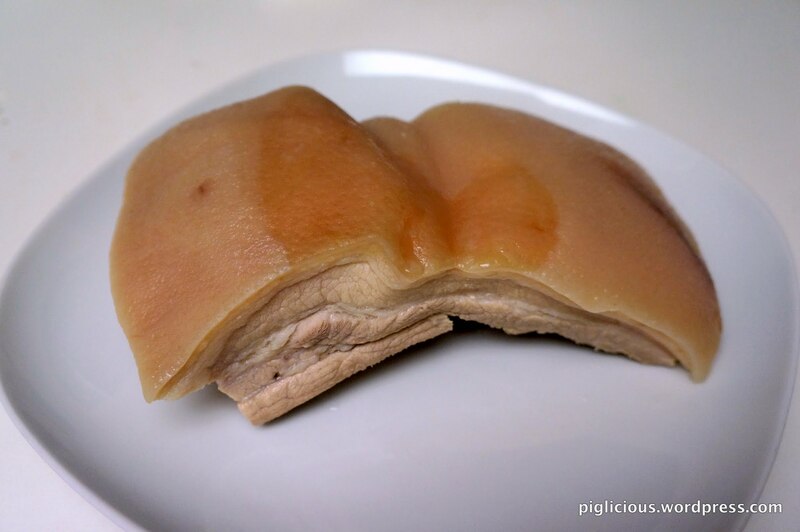 Since it is still too hot to touch, you can check the skin for any pork hairs and remove with tweezers. Wait until it is cooler to touch, then make small slits on the skin with the tip of a knife. 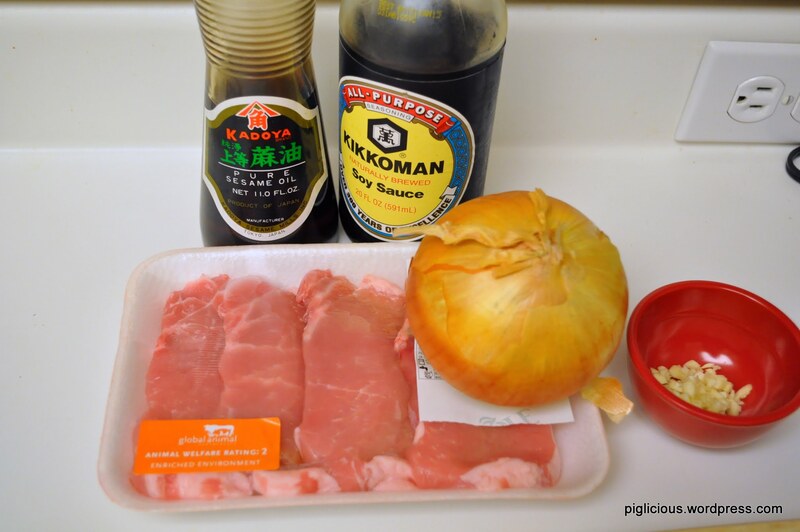 Coat all surface area with soy sauce. Let is sit for about 10 mins. The next step is to sear the pork belly skin: Heat the pan on medium high and when the pan is hotter, add about 2 tablespoons of canola oil. 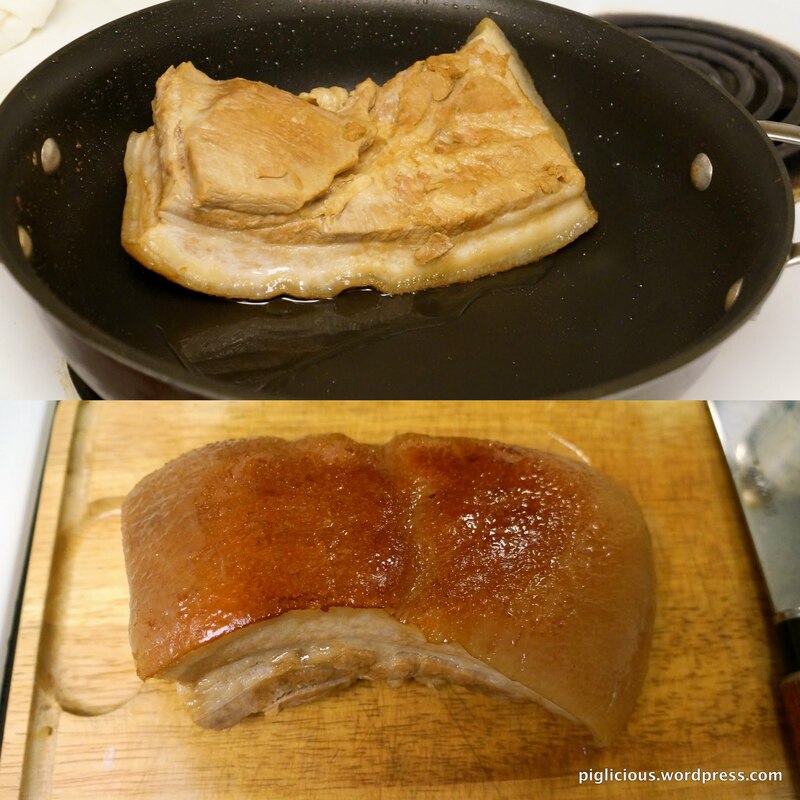 When the oil is hotter, place the skin side of the pork belly down in the pan. 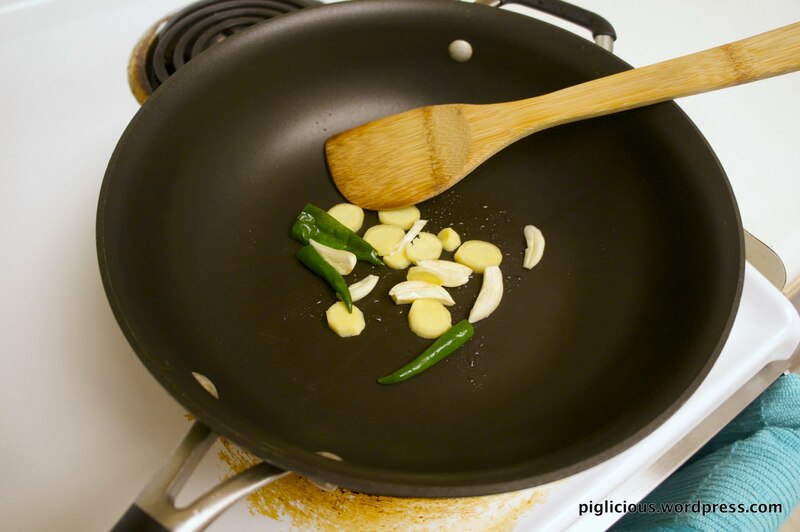 Be careful, the oil may splatter, so use the pan lid as a shield or an oil splatter screen. Sear the skin until brown. Try to sear as evenly as you can by tilting the pan and moving the oil around in the pan so that the sides and edges can be seared. 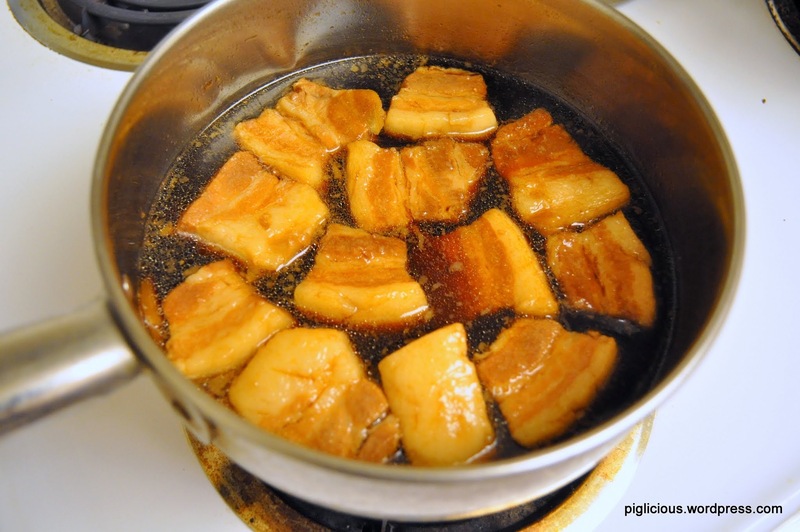 Using the same oil that was used to fry the pork belly skin. 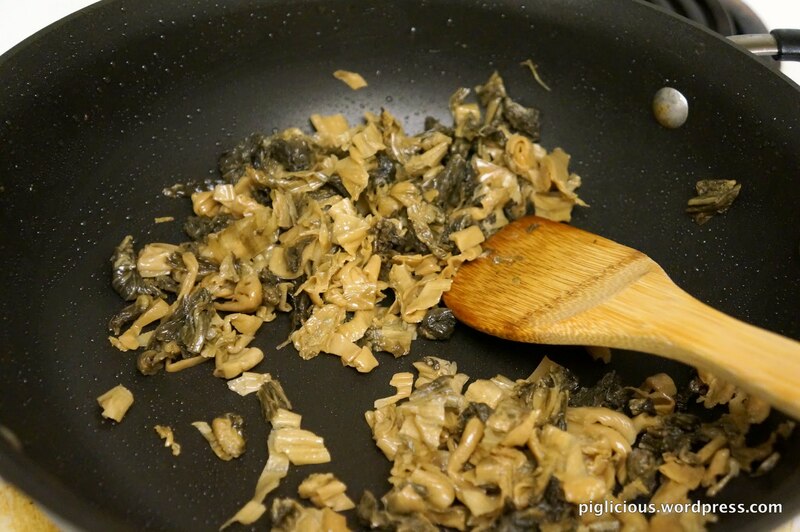 Turn the temperature to high until the pan and oil is hotter and place the preserved mustard greens in the pan. Stir for about 30 secs. Add the sugar and soy sauce and continue stirring for about 1-2 minutes. Then set it aside. 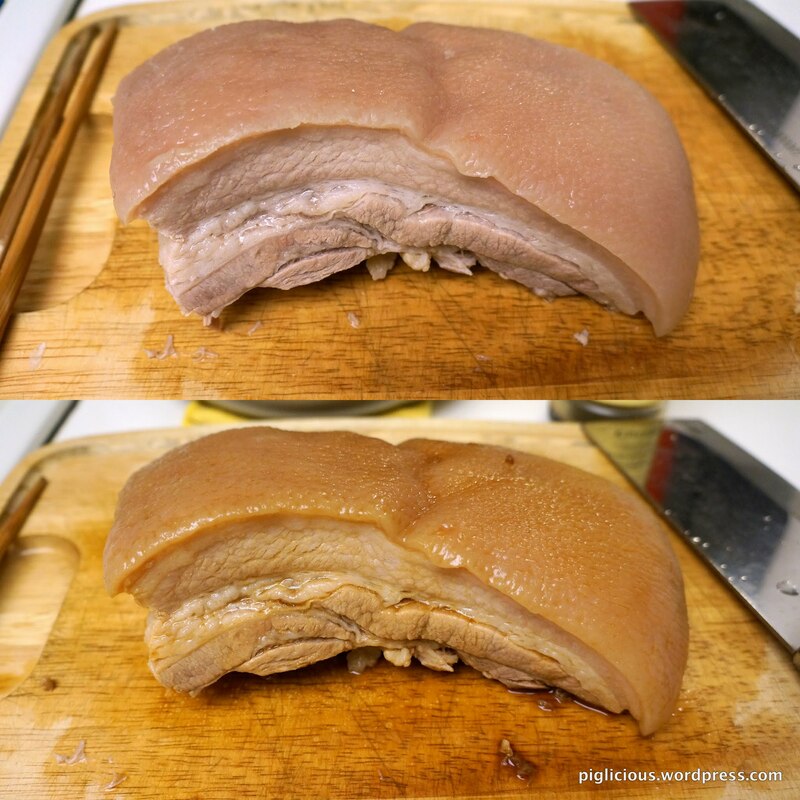 Slice the pork belly into thin slices (~1/2 inch slices) and place them in a large enough bowl that will be able to fit into your rice cooker/steamer. To fit all the slices evenly in the bowl, you can first put a few slices at the bottom of the bowl and then fan out the rest of the slices on top. 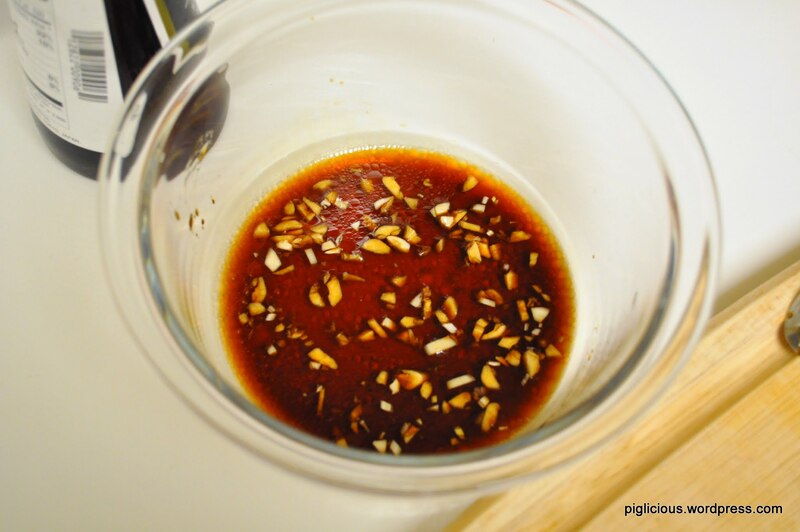 For the sauce, simply mix the soy sauce, sugar, and water. Pour in the sauce along with the star anise. Add the preserved mustard greens on top. Put 3 cups of water in the rice cooker. 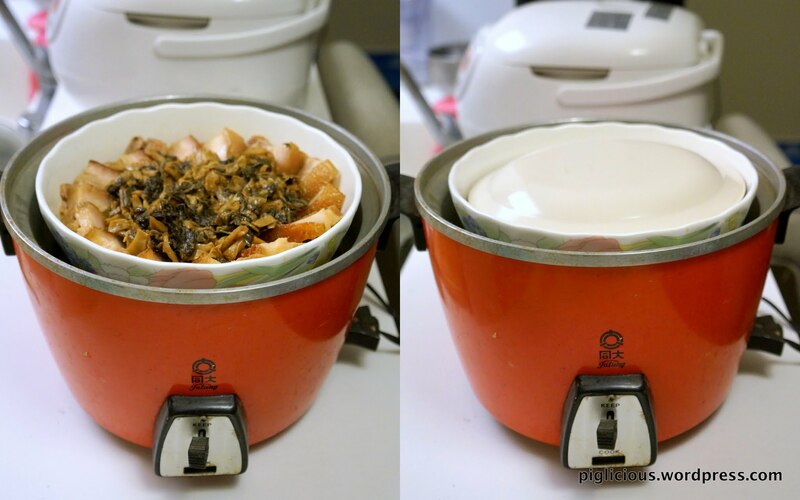 Place the bowl in the rice cooker (Tatung rice cookers are such good steamers). Cover bowl with a plate. Cover with rice cooker lid. Switch down that cook button. Once the button clicks back up, you must wait for about 1 hour before it is ready. 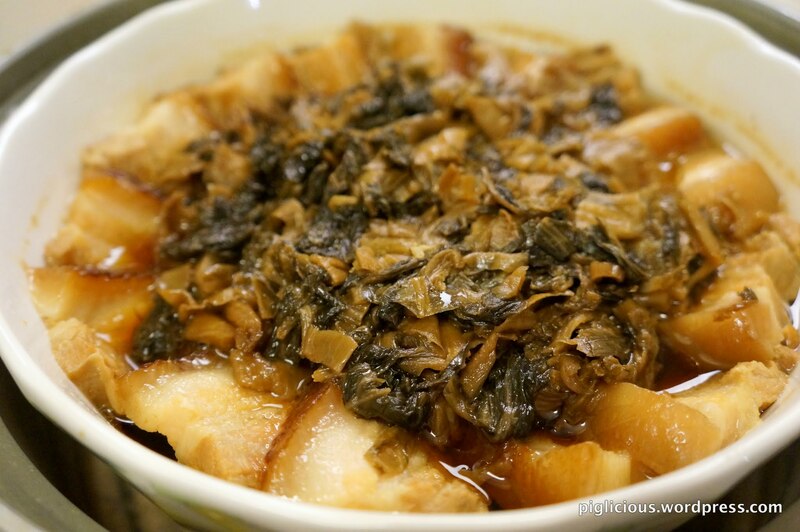 Nancy Singleton Hachisu calls this dish “Pork Belly Simmered in Okara (soybean pulp),” but I call this Pork Belly Simmered in Sake Broth!! I feel like this is quite the logical name to call this dish because the pork belly flavor comes from a broth that is heavily sake based. 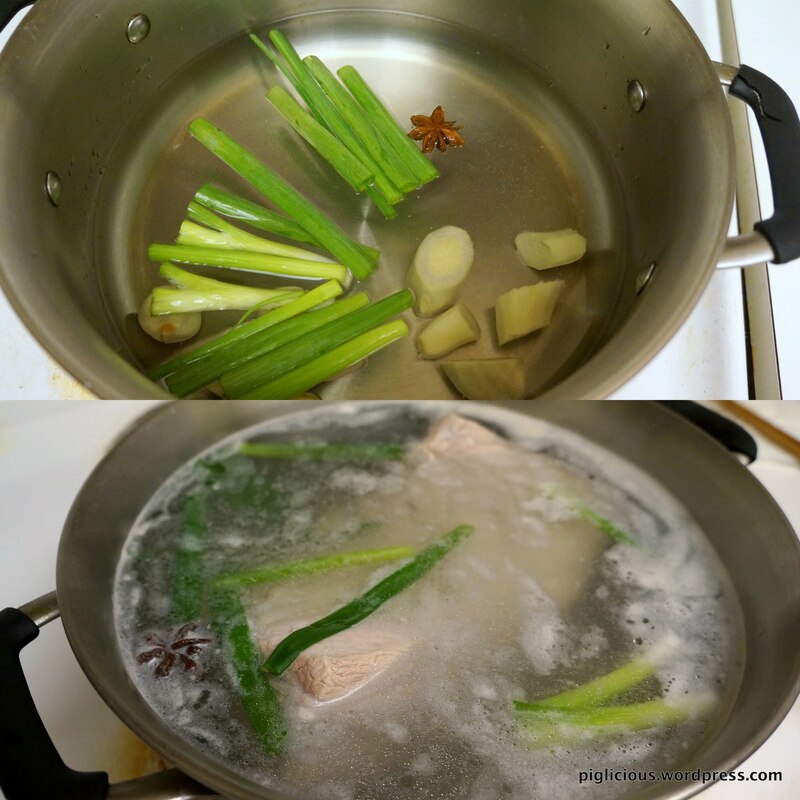 Honestly, I was a little skeptical about the recipe when I tasted the broth before I started simmering… I thought I’d end up with severely drunken pork belly. But all is good, the dish turned out surprisingly superb! It has bumped up my faith in this book. When I thought about it some more, this recipe is really genius. 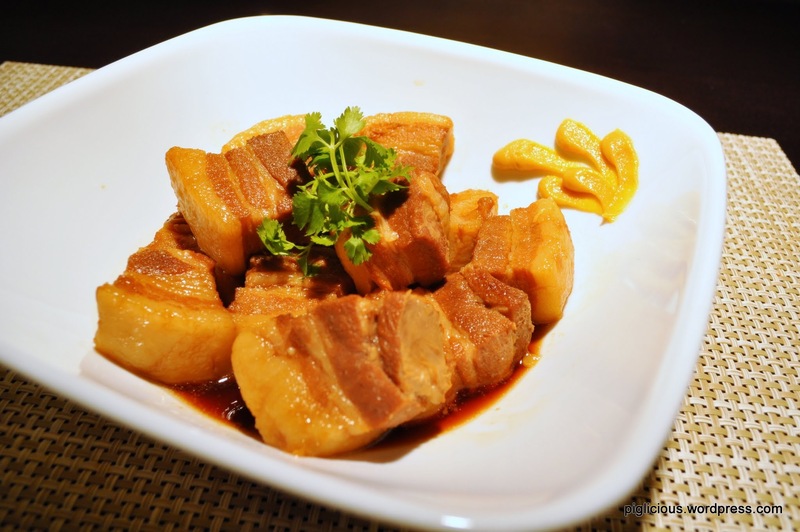 Simmering the pork belly first in okara is genius. 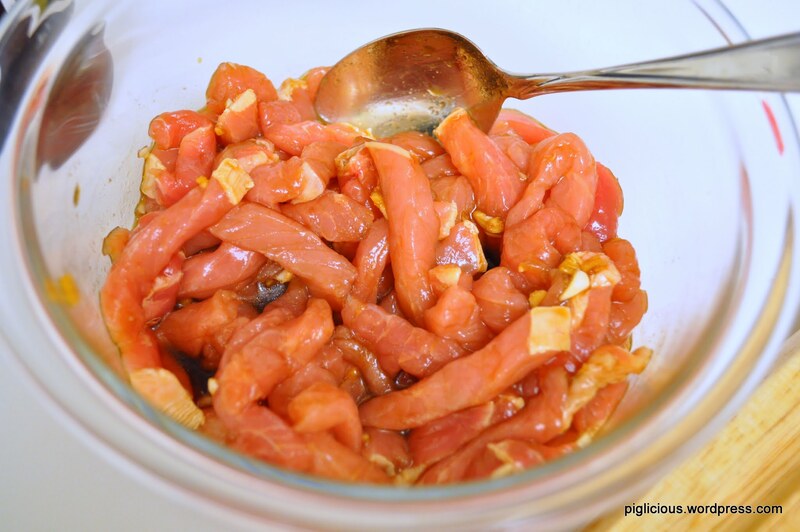 It seems to take away pork odors and “cleans” the pork and pork fats. 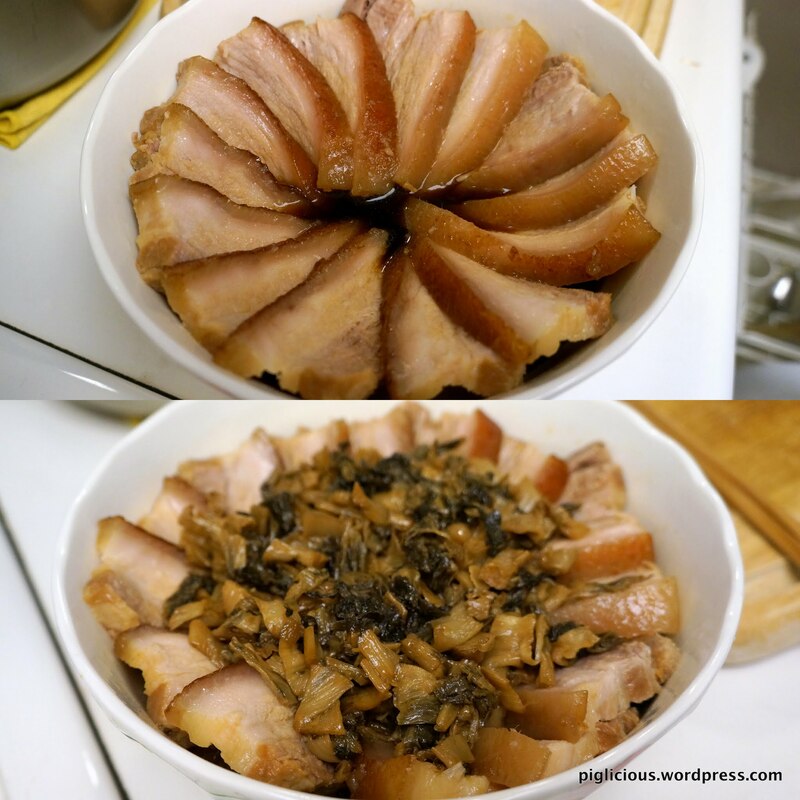 All of my pork belly from now on shall be simmered in okara! 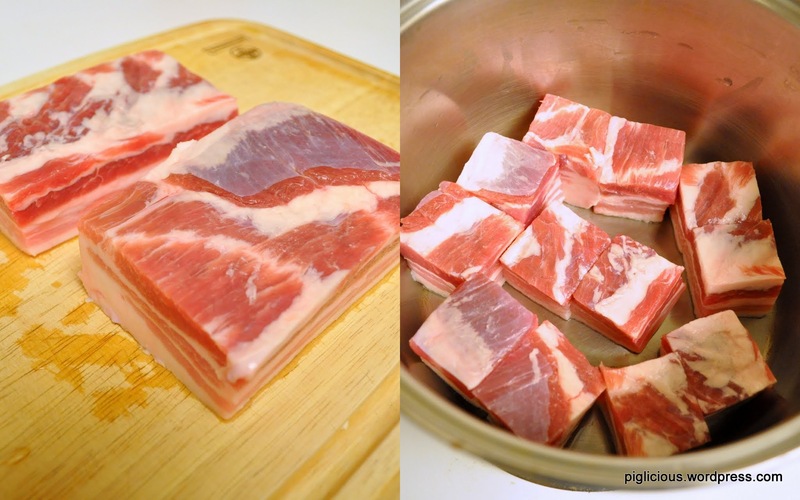 Cut the pork into 12 cubes and place them in a pot that’s wide enough to fit all pieces at the bottom. Make sure the pot is also tall enough for the water content. Now add the cold water in to cover about 1 inch above the pieces. Stir in the okara and cover. 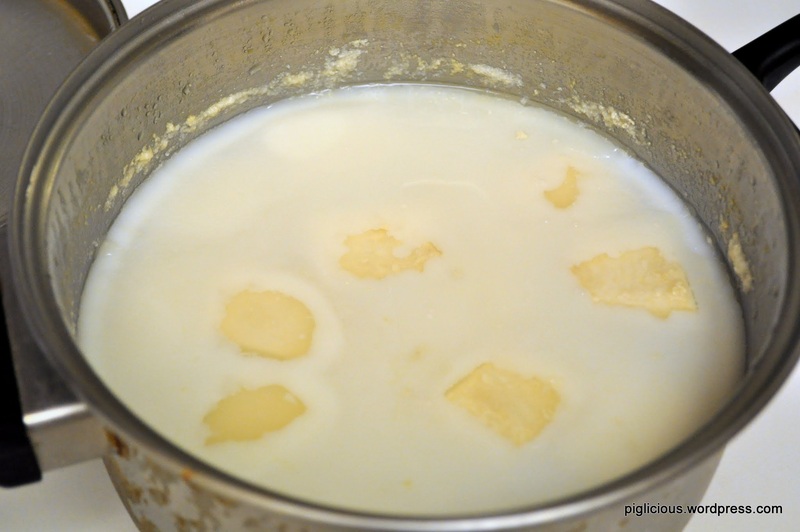 Turn temperature to medium-high and wait for it to come to a simmer. Once it starts simmering, turn the heat down to low-medium and simmer slowly for up to 3 hours. After it is done simmering, let it cool. 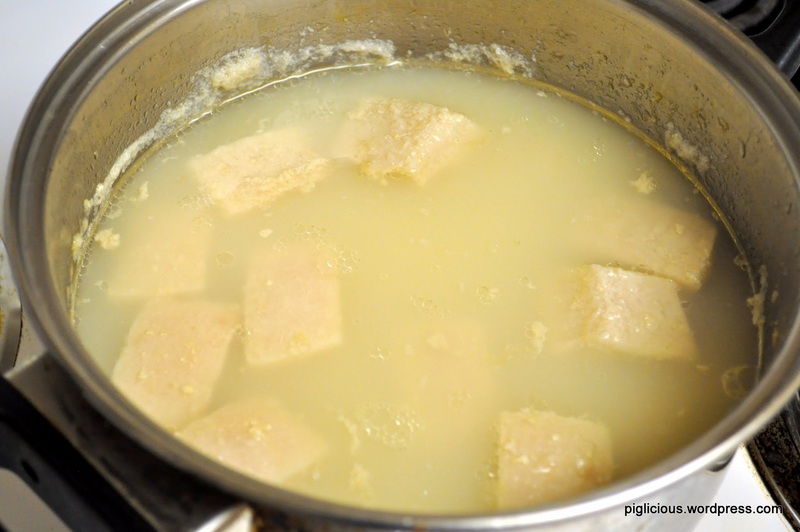 Once the pot has cooled down, place the pot in the refrigerator until the fat has solidified. (I started making this at night, so I just put the pot in the refrigerator overnight). 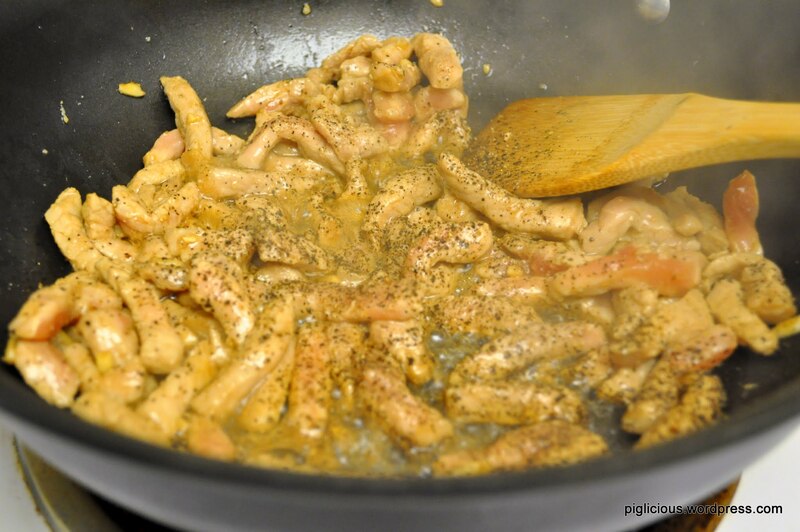 Gently remove the tender meat pieces from the solid fats and okara. 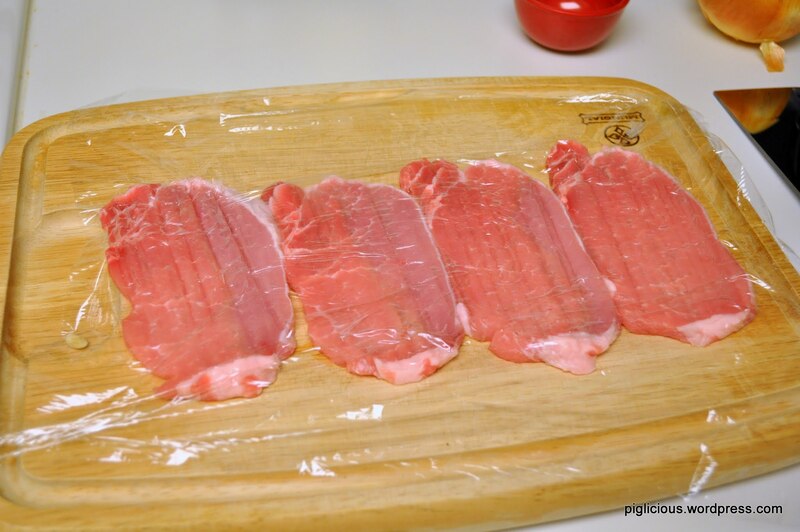 Place the meat in a strainer and rinse with warm water. Now onto the simmering for some real flavors. Peel and slice the ginger into thin sheets. 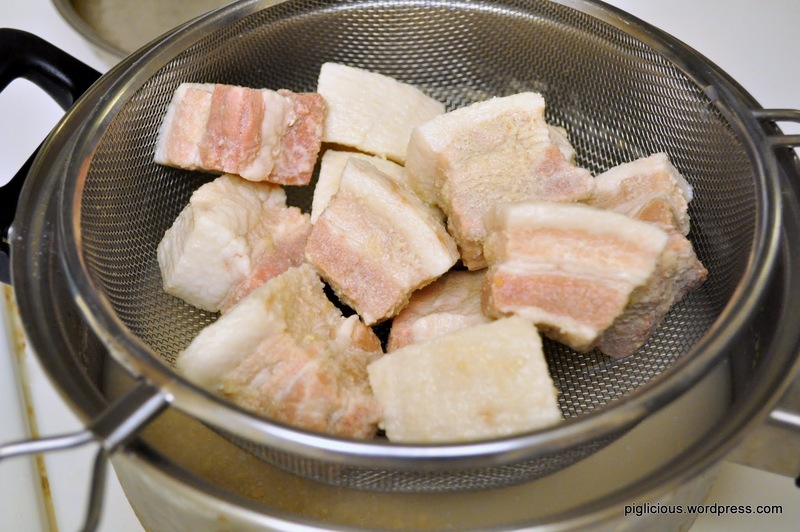 Place the pork pieces into the smallest pot that will hold them well. 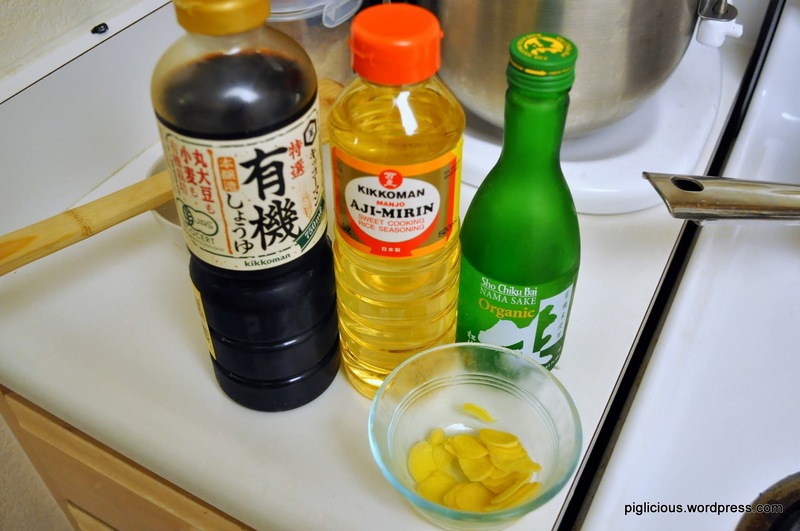 Add the sake, soy sauce, mirin, and ginger. Leave the pot uncovered, over medium-high heat. 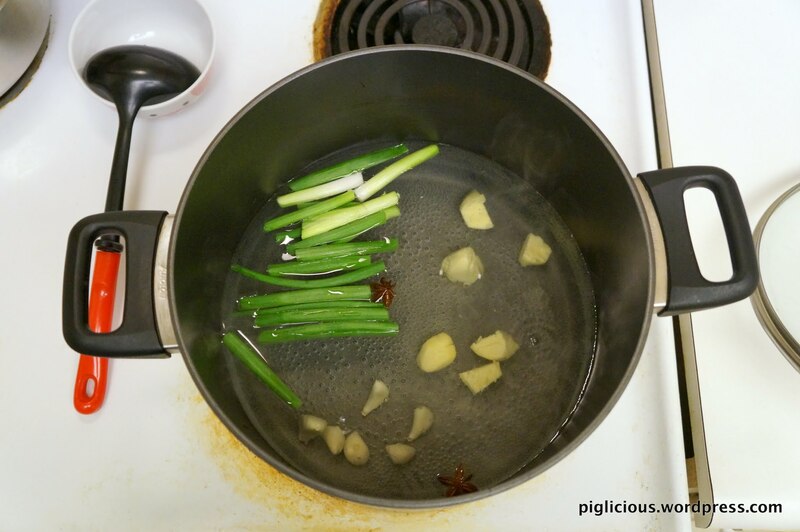 Once it starts simmering, lower the heat to low-medium and cook at a gentle simmer for 30 minutes. Cool the meat in the broth for about 10-15 minutes to soak up more of the flavoring. To serve, spoon the meat pieces with a little of the simmering broth. Squeeze some japanese mustard on the side of the bowl.